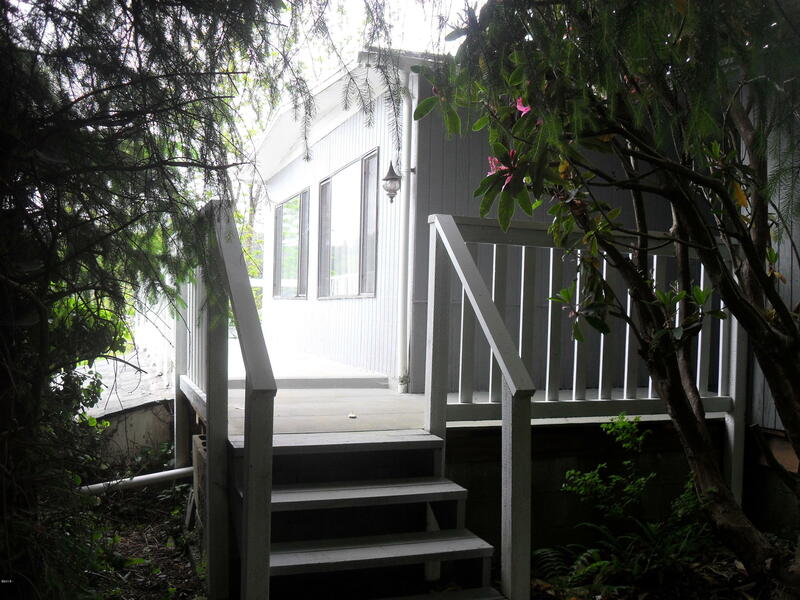 Older 1972 manufactured home set on ground level living/studio space. Riverfront, although no easy access. Shared driveway and shared septic drainfield area and also shared well. Large landscaped lot with many specimen trees. Clean and neat. Being sold 'as-is'. Private drive, no drive-bys.